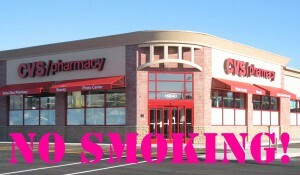 If CVS Pharmacy Can Say No To Smoking, You Can Too! 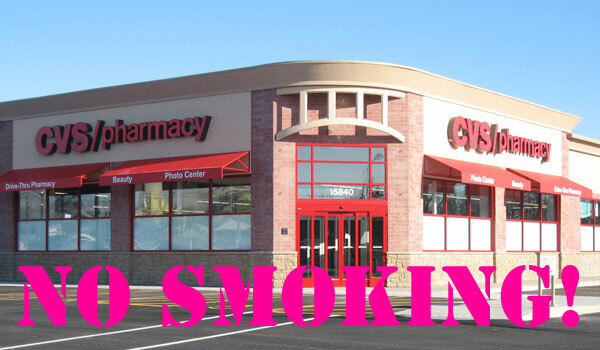 CVS Pharmacy has recently taken a large step forward in their industry by making the strategic decision to remove tobacco products from all of their stores in order to show how serious they are about being committed to the health of their customers. Also, for CVS customers that are smokers, they will begin offering free online assistance to help their customers stop smoking if they choose to do so. This was obviously a difficult decision and one that could potentially lose them a lot of money, but they believe that this decision will have the opposite effect, and will actually help them strengthen their brand, retain their current customers, and inspire new customers to come into their stores. I also believe this article directly relates to the business simulation we did in class. I think the simulation really showed us how important it is for companies to make important thought out decisions and to not try to be something that they’re not. I also think it proves to us that even though at times it was hard to let go of a product that we have been making for a while, sometimes it was the best decision for the overall health of the company. While CVS could’ve remained successful being in the tobacco industry, they chose to differentiate themselves from their competitors and hopefully help them gain a competitive advantage. Overall, I believe that this decision was the right one for CVS especially since none of its competitors have really done anything as of yet regarding selling tobacco in their stores (Walgreens?). I believe that in order to make these decisions CVS executives strategically evaluated all of their market segments and made sure to forecast so that in case their revenues did fall dramatically, the company would be able to bounce back. One thing that really stood out to me while doing this simulation is how important forecasting is and how important knowing your market segments are in order to be successful. I feel like my team had a lot of trouble with this in the beginning of the competition and this is what caused us to suffer later on. Knowing your products and knowing the market segments that those products are is extremely important and making sure that all of your departments are working cohesively is just as important. Do you agree with CVS’s decision to remove tobacco from their stores? What do you think it’s competitors will do regarding CVS’s decision? Will they drop tobacco products as well? What else do you think CVS can do to set themselves apart from their competition? Do you believe this will negatively impact CVS’s business?